The bright, fiery morning sun is much harsher than the calm, gentle moon that brightened the sky yestreen for it sheds light on reality , on truth that is hard to believe let alone live. Last night, I stood gazing at the skies like I used to do when I was a little girl. The sky had always mesmerized me for it was always beautiful. I stood near my window and counted the stars all night like they were the only possessions I had. For all that I had wasn’t my own. I’d lived with the thought that it was all mine, but it had all changed. The truth had surfaced after all this time and sleep eluded me. Life seemed like a bliss till last night when the truth like a needle had pricked the bubble of false reality I was living in. When something good comes out of the bad, we rejoice for we tend to look at that one thing that is good. But when everything that seemed perfect lay shattered, there is nothing good to look forward to for everything was a lie. I wasn’t wanted, I was abandoned. When I was born, I brought sorrow instead of the joy. The people whom I had thought all along were my parents, weren’t my real parents. Why hadn’t they told me? Why were they still putting up with the facade? Should I confront them? I wished I could turn back time and go back to not knowing the truth. Ignorance was indeed bliss. When I look back there wasn’t even a single moment where I’d felt unwanted and unloved. The only time I felt it was now because of the truth that I had discovered. But they had known the truth all along and that hadn’t changed anything for them. I had the best of what they could give me. They had loved me as their own and I’d loved them too! Why then should a piece of paper change the way we were living for all these years? I could confront them but wouldn’t it hurt them? This was a truth that though hard, had to be forgotten. I could think of that moment of discovery yestreen and remind myself of it all the time. But what good would that be? I knew what I had to do. Yestreen had never happened. Things would remain the way they were all these years. I’ve so enjoyed reading all these new words. Thanks again for sharing them and for all the research you’ve obviously done. Nearly done! 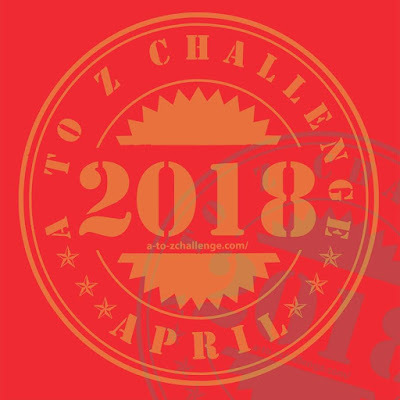 2nd last letter of the alphabet in the 2018 A to Z Blogging Challenge. Y is for Yes! Such a beautiful word! It’s only through reading that we can discover and appreciate the beauty of so many languages!